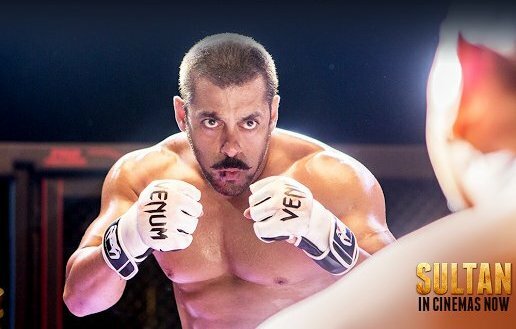 The week’s new offering, sports drama Sultan has shattered all previous box office records of the year. In just 4 days, it has become the highest grossing movie of 2016 by breaking the lifetime record of Akshay Kumar’s Airlift, that was 128.10 crores. Being superstar Salman Khan starrer Sultan has been released on July 6 worldwide with enormous hype among audience. As expected it has received very positive reviews from most of the critics as well as moviegoers. Also it is getting overwhelmed response from audience across the globe. Everyone liked the movie very much and showing big thumbs up for it. Fans of Salman are showing immense craze towards Sultan and creating huge buzz about it on social media. These positive reactions are attracting more audience toward theaters. 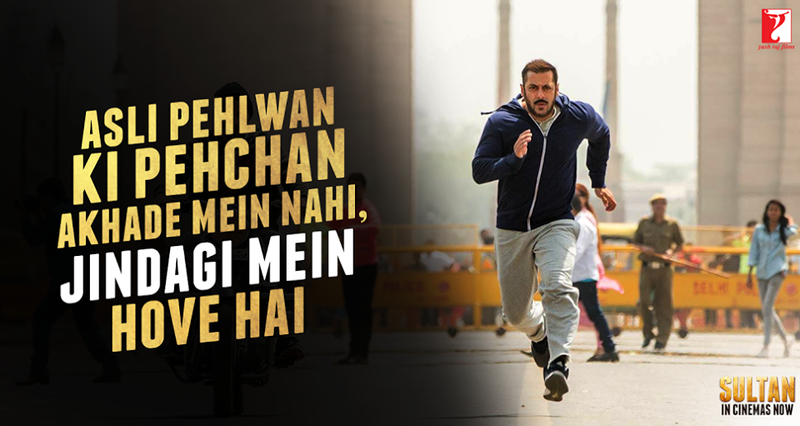 Salman Khan has given one of his best performances so far and is being praised by all for that. Anushka Sharma has also given impactful performance and synced very well with Salman. So far Sultan has come out as the best performer movie of his career and leading from his biggest blockbuster Bajrangi Bhaijaan with far difference. It is all set to break the one week collection record of Bajrangi Bhaijaan (184.61 crores) in almost 5 days of release. In the opening day i.e. Wednesday, Sultan reported excellent occupancy and registered the biggest opening of the year so far with 36.54 crores across 4350 screens across the country. On Thursday, being holiday due to Eid festival it witnessed impressive growth in its business and collected the amount of 37.32 crores. Then on Friday, it witnessed almost 20% of drop and did the business of 31.67 crores. On its fourth day i.e Saturday, being weekend the movie again recorded impressive growth in its occupancy and raked the business of 36.62 crores. On the last day of weekend (Sultan had 5 days weekend) i.e. Sunday, Sultan reported higher response than Saturday and added the amount of 38.21 crores to its account. With this, total opening weekend collection of Sultan has become 180.36 crores on domestic box office; which is quite near to the opening week collection of Bajrangi Bhaijaan. The Ali Abbas Zafar’s directorial this latest movie is all set to cross the mark of 200 crores by the end of its first week nationwide. Not only in India, but from overseas market too the movie is getting outstanding response. Till Friday, Sultan has reported the business of total 56.87 crores from there, that includes 20.50 crores of Wednesday, 18.71 crores of Thursday and 17.66 crores of Friday.